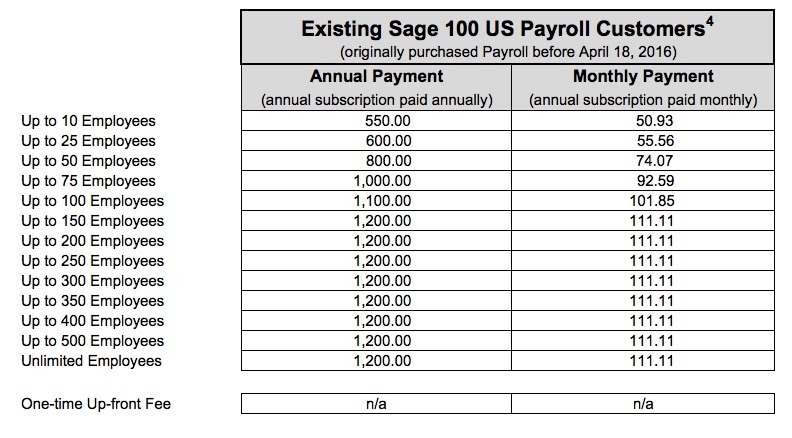 How Do I Check My Sage 100 Payroll Tier? 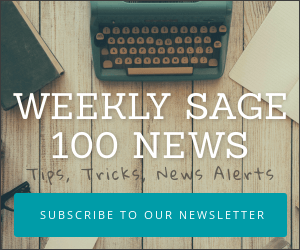 Are you using Sage 100 Payroll? If so, then beginning with your first software maintenance renewal on or after May 1, 2016, you will license your Payroll module in a slightly different way. The old way: Sage billed for software maintenance under one invoice which included your licensing of payroll and any other modules (upgrades, product updates, fixes) for 12 months. The new way: Sage bills for software maintenance and now breaks out the payroll module separately and charges based upon the number of active employees paid. Sage have published an FAQ which answers many of the questions surrounding the implementation and cost of Sage 100 Payroll Tiers which you can download here. 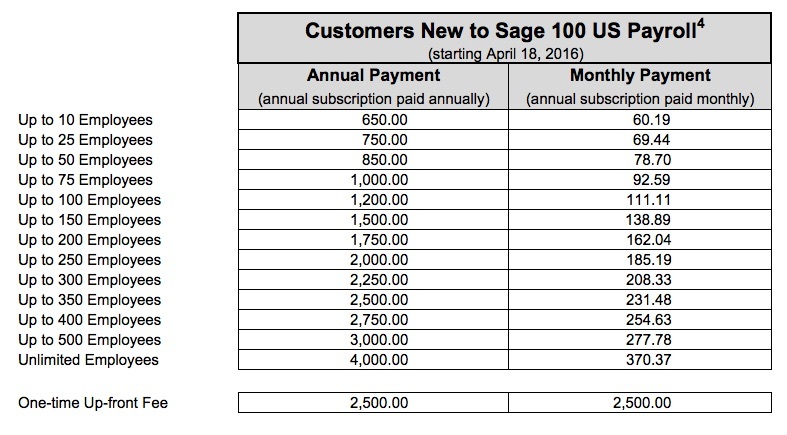 If you have already enrolled in the Sage 100 Payroll Tiers program and want to check your current tier you can follow this procedure. 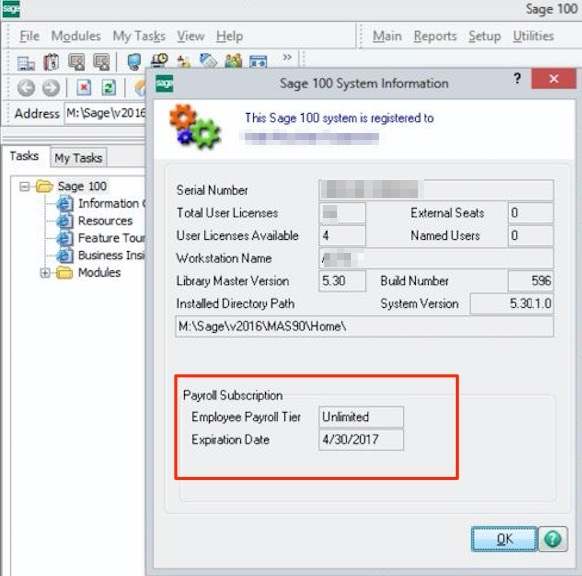 The dialog box which appears will show the tier which your company has enrolled (Note: You will need to be using Sage 100 2015 PU6+ in order to use Direct Deposit within Sage Payroll Tiers).